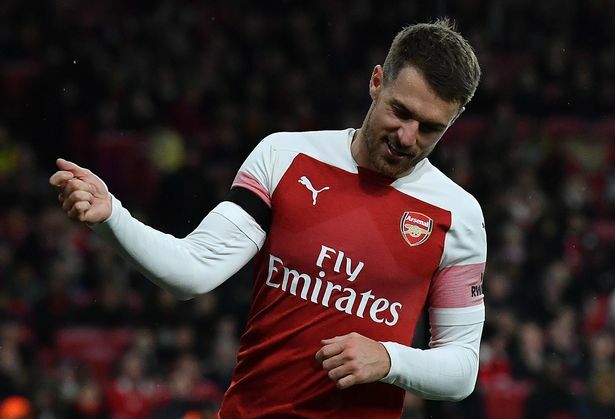 Arsenal midfielder, Aaron Ramsey, will become the second best-paid player at Juventus, when he officially joins the Serie A champions in the summer, the BBC reports. The 28-year-old has agreed a four-year contract that will see him join the Italian club as a free agent, ending his 11-year spell with Arsenal. The deal will see him earn over £400,000 a week, only behind Cristiano Ronaldo who gets £500,000 a week. Ramsey will also be the highest-earning British player ever based on basic salary. In confirming the deal, Juventus said the club would incur costs of 3.7m euros (£3.2m), but did not specify what the fee was for. Ramsey’s current deal with Arsenal expires at the end of the season, after the Gunners withdrew their offer of a new contract last year.